What's lost in this whole ordeal is that four Green Berets are dead. They served their country with honor and distinction, and that should be enough to ponder. However, since the election of President Trump, the media and the Democrat have been on a mission to embarrass the president, to marginalize his presidency, and possibly removed him from office by any means necessary. Sadly, their latest tactic is to exploit a grieving widow to undermine Trump. ABC News -The pregnant widow of U.S. Army Sgt. 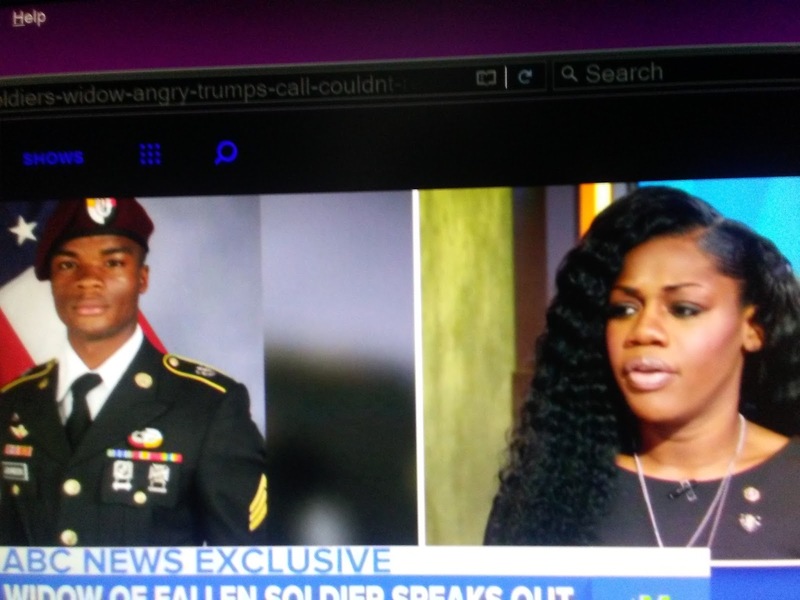 La David Johnson, who was among four U.S. service members killed in Niger earlier this month, expressed a mix of blame and sorrow today on "Good Morning America," saying she was "very angry" about President Donald Trump's condolence phone call and upset because she says he struggled to "remember my husband's name."